The Raffles Makati, in partnership with La Belle Fête, presents “The Curated Wedding: A Bridal Affair”, a fair for couples looking to tailor their special day to their exact liking. Held on November 24, 2018 from 10AM to 6PM at the luxury hotel’s ballroom, the bridal showcase is set to present a variety of activities to help brides and grooms-to-be plan their wedding day. Raffles has been able to collate a strong ensemble of suppliers and experts to attend the event. Premiere event stylists and tastemakers will create tablescapes and arrangements to help couples envision their dream wedding. Amongst those on the list include Dave Sandoval, Gideon Hermosa, Jo Claraval, Robert Blancaflor, Michael Rui, Teddy Manuel, Julius Villamante, Gary Dacanay, Michael Rueda, and Joyce Aguilar of 2171 Floral Creations. Talented fashion designers have also been tapped to showcase their impressive work during the event day. The gowns of Mak Tumang, Patricia Santos, Jo Rubio, Joe San Antonio, Gretchen Pichay, Banggo Niu, and Rosa Clara will be presented, while the well-tailored suits of Boy Santos, Ziggy Savella, JE & Co., and Jo Montilla’s Tailory Manila, will be available for the gentlemen to choose. At the fair’s cake corner, wedding favorites such as Penk Ching, Castillo Fuentes, Cake Concepts, Ava’s Cakes, Cuppy Pupy, Lovelots Cakes, Naked Patisserie, Cakes by Mannix and Piece of Cake will all be present to show couples what they’re capable of. Tons of other bespoke offerings will be available for couples to explore. Leading photography service companies such as MetroPhoto, Chestknots, Proud Rad, Nice Prince, Photobooth by DJ Coki and Baicapture, and videographers Mayad, Bob Nicolas, Treehouse Story and Cinemaworks will be at the fair. The event is also offering special discounted prices and offerings for bridal cars, lights, sounds and musical entertainment. To cap it off, an option for a luxurious honeymoon experience at El Nido Resorts and bridal registry at Rustan’s, will also be available. During Raffles Makati’s “The Curated Wedding: A Bridal Affair”, esteemed speakers and industry experts have been invited to talk, offering tips and guidelines on how to prepare for this milestone event. The speakers include Gideon Hermosa (on the art of personalizing bridal bouquets), La Belle Fête Managing Director Ycoy Sitchon (on how to conceptualize and coordinate the ideal wedding reception), makeup artist and hair stylist Gery Penaso (on how to achieve that perfect bridal look), and MetroPhoto lead photographer and owner Oly Ruiz (on how to have a magical engagement shoot). 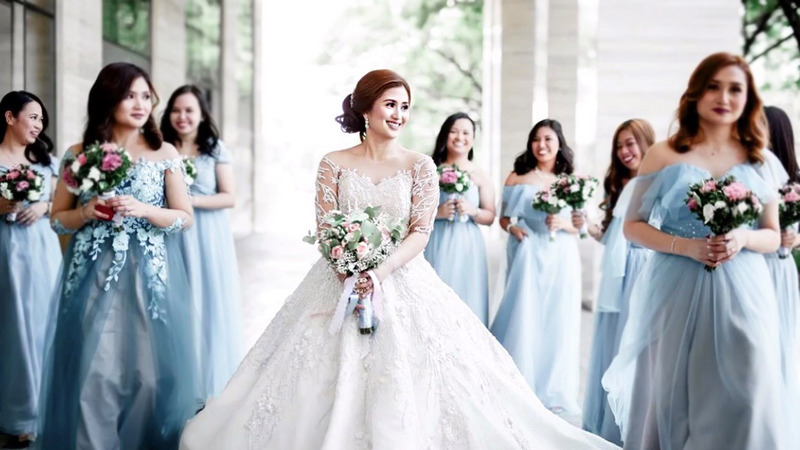 The collection of artists Raffles Makati has put together is similar to that of a Dream Factory that is able to create dream weddings with their particular expertise. For more information and inquiries on “The Curated Wedding: A Bridal Affair” at Raffles Makati please call 555 9737 or email [email protected].